Shiatsu is a very gentle but powerful hands on therapy. It is suitable for all & can help with a whole number of issues & conditions. I have a Facebook Page that you may also like to look at. You can like it for info on events & offers. Have a look at the photos of Shiatsu here to have an idea of what a treatment involves. 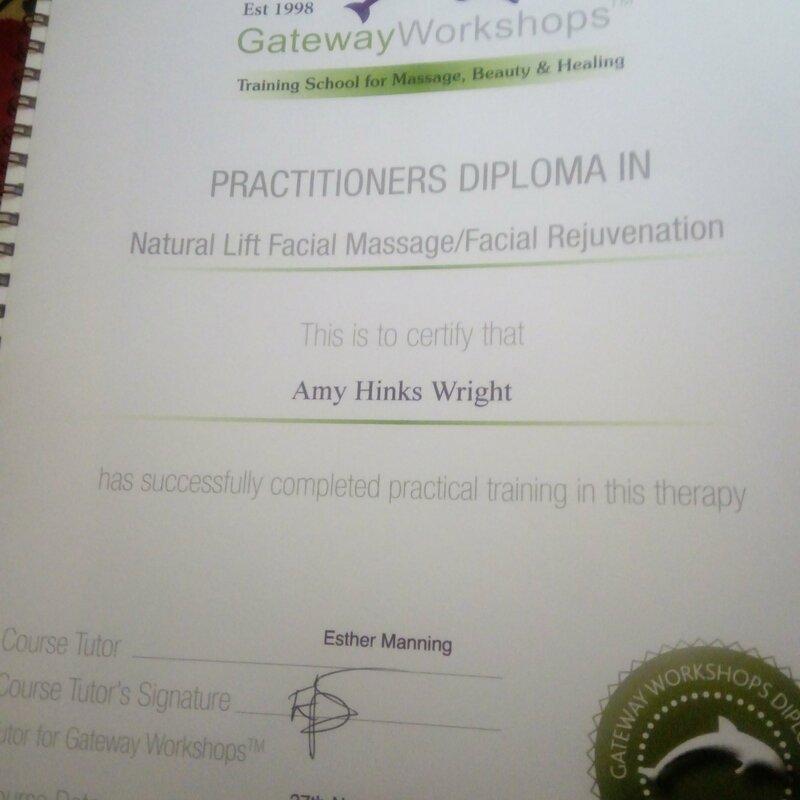 A very long & busy day today, at the end of which I got awarded my certificate in natural face lift treatments. It is quite a deep treatment & the whole body feels the results. I swear my face is tighter too, although I didn’t take before & after photos. I loved the day, it was so full of practical work. I’ve come away confident of what a treatment involves & a feeling of how amazing the treatment can make you feel. I have quite a few people lined up to be case studies so now the practice begins. I do have space for a couple more people, if you are interested do get in touch, through the ‘contact me’ page. I have been able to help various clients with pain in their joints. Shiatsu is a form of therapy that can help issues in many different ways & meets the client where they want to be met. Sometimes it is beneficial to really work the joints, using stretches & rotations. Sometimes it’s great to get into those big joints & relieve the tension. Other times it is not appropriate to move the joint too much, maybe to avoid inflammation. Then gentle quiet work can be given. Joint pain can be really uncomfortable & painful. It often becomes chronic & people adapt their lives to be able to cope with it. Some of my clients have found that Shiatsu has given them some relief from the pain, some support with the mental strain & has relieved some of their symptoms that caused the distress.